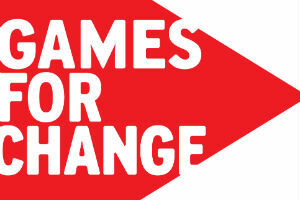 Games For Change, an awesome organization that promotes and develops games that have a social impact on the world, has launched a challenge to New York City students: Make a game about a real world issue in your local community. Games for Change partnered with the New York City Department of Education to work with NYC teachers to teach them how to teach game design to their students. Sometimes you gotta teach the teachers to teach so that they can teach. Participating Teachers and schools will work with students to create original games about social issues facing them and their community by creating game design courses in their schools. However, the program isn’t just for kids from schools that run these programs, any student from NYC can submit a game to the program. Students have the option of 1 of 4 themes, each depicting an ongoing issue in the NYC community. The themes are structured, so you probably won’t see any games about the social woe of Pizza rat. Students will then create a digital game with one of these themes in mind, and submit their game by the end of January 2016. Six winning games will be named and the creators will receive prizes and awards. The Games for Change Challenge seems like a really innovative way to spark an interest in social issues and game design in the NYC students. While only centralized to NYC, it’s great to see such a program taken underway. Hopefully such a project will spark other projects from G4C, or other similar organizations. With this and the Street Arcade, we’re seeing kids take to games to convey social issues more and more. This entry was posted in gaming, video games and tagged games for change, Gaming, sociology, Video Games. Bookmark the permalink.